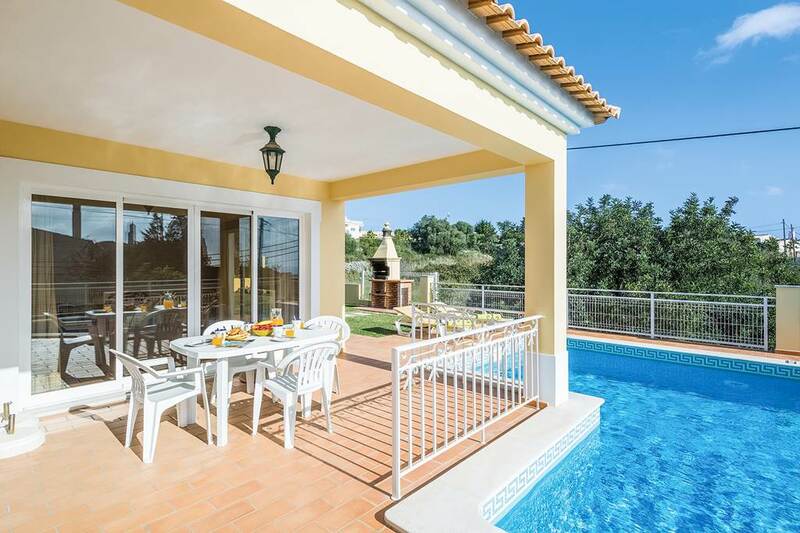 Villa Casa Luana is a lovely three-bedroom property in Vale de Para. With a big private pool, lots of garden space and air conditioning throughout its interior, it’s got everything you need for a relaxing getaway. With a lovely open-plan layout and a great choice in furniture, Villa Casa Luana says holiday all over. Unwind in the indoor and outdoor dining areas, making use of the built-in barbecue. All three of the nicely decorated bedrooms are fitted with en suite bathrooms, and there are lovely views of Albufeira’s marina from the garden, which as well as the city’s Old Town, is a quick drive from the property. If you fancy a tipple or a slap up meal, bars and restaurants are also within a short drive’s distance too in this excellently located property. Fisherman's Beach, or Praia dos Pescadores, is overlooked by a small promenade of shops and restaurants beside Albufeira old town. You can access the beach by two escalators, and there are sunbeds available to hire. During the summer the beach can become crowded which gives it a fantastic atmosphere. Zoomarine is a marine life-inspired theme park just a few miles north of Albufeira in Guia, open from April to October. As well as its animal shows, including dolphins and birds of prey, the park has a 4D cinema, aquarium, rides and places to eat. There are also pools and green areas for cooling down and relaxing. Albufeira's old town is a cobbled, pedestrianised area that's popular with tourists. There are lots of bars and restaurants to suit every taste and budget and the restaurants in the main square have extensive menus. The narrow back streets hold many of the town’s more traditional restaurants and some hidden gems.